Located right on the banks of the Huong River, Phu Van Lau is a small but high-value architectural works in terms of history and culture. 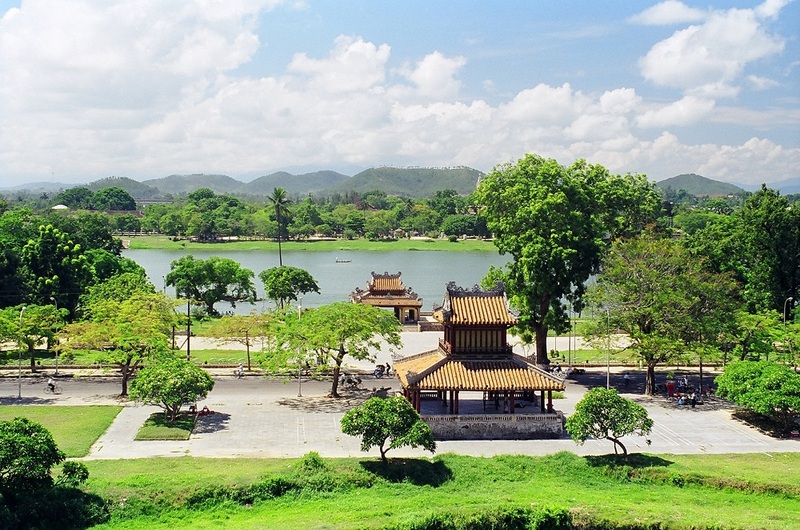 Phu Van Lau is an architectural work located on the outside of the front of Kinh Thanh Phu Xuan, now in Phu Hoa ward, Hue city, Thua Thien – Hue province. This architectural work is located in front of the monument area. 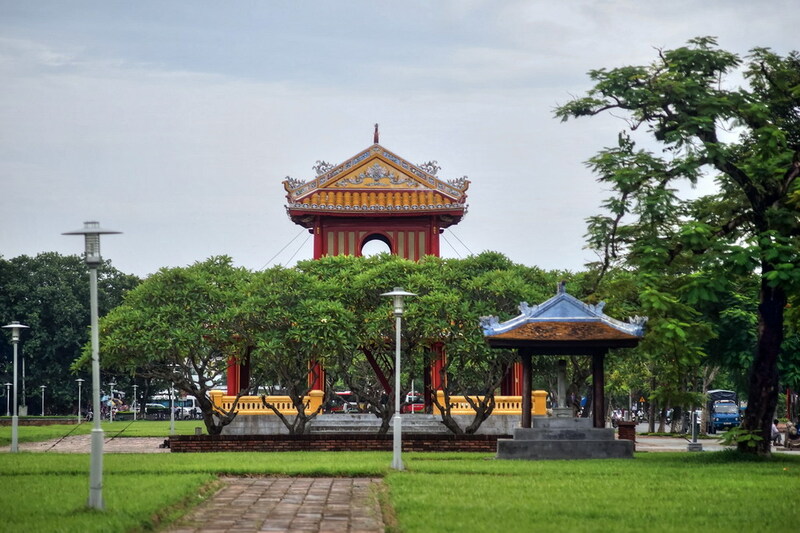 Phu Van Lau is the place to post the letters of the Nguyen Dynasty or the results of competitions of Hoi and Dinh competitions. In the position of Phu Van Lau before, in the early years of Gia Long’s life, the court had built a small house to hang a notice board called Bang Dinh. By the Minh Mang era, the king had decided to form the place where it became the place where the king’s important messages were published. In 1819, Ban Dinh was rebuilt more spaciously and renamed Phu Van Lau. From 1821, after the batch transfer, the list of doctoral titles was listed here. 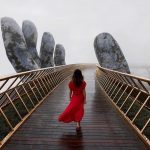 Subsequently, the work was restored several times in the years 1905, under the Thanh Thai period after the historical storm in the year of Thin and 1922, under the reign of Khai Dinh. The most recent restoration was in 1994 – 1995. In 1826, there was a battle between elephants and tigers to see Minh Mang. On the four-week, five-week events of Minh Mang, there are many other fun events held here. Later Thieu Tri and Tu Duc kings also kept the same rule on their life days. Thieu Tri King saw Huong River and Phu Van Floor as one of 20 beautiful scenes in the Citadel. Phu Van has two floors of royal roof tiles. All column frames are made of ironwood. In the lower floor, there is a 65cm high handrail, whitewashed yellow, the space is completely empty, except for the listing days of messages, examples and results of examination departments. After being announced at Thai Hoa Palace or Ngo Mon Gate, people put a letter on a long-covered house for the soldiers of Nghinh Palace to list on the floor. The mandarins of Thua Thien province followed the line of elders to respectfully bow to the letters. From 1821, after the batch transfer, the list of doctoral titles was listed here. On the upper floor, all four sides have wooden planks of a frame-type silk puzzle. The front has a square window, two sides of the round window, symbolizing the concept of yin and yang. Running around outside is a wooden handrail system that is very polished. 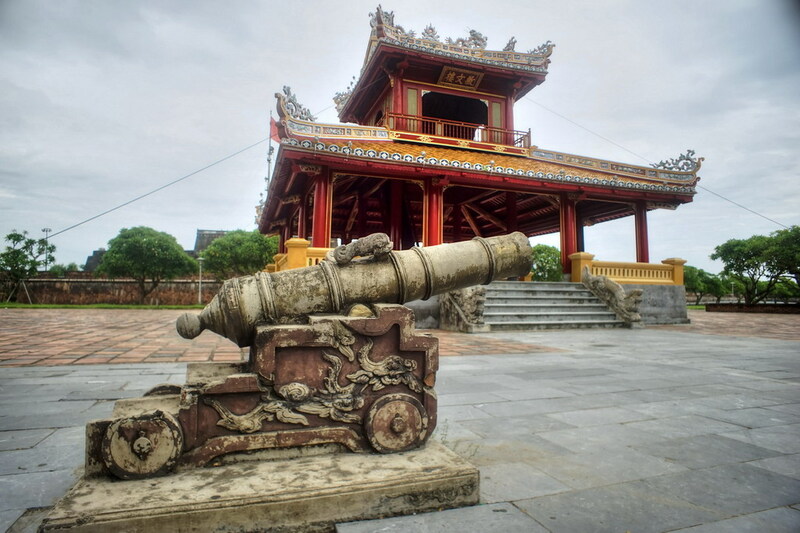 In the past, in the front yard of Phu Van Lau, the imperial court arranged two small bronze-sized cannons flanking in the middle. Outside the road to build a stone stele with the inscription “lower code” reminds everyone passing Phu Van Lau to “tilt the hat down to the horse”. Near the right of Phu Van Lau, there is a stele on the poem carved “香 江 晓 泛 – Huong Giang Hieu Phiem” about the beauty of the Huong River, one of the twenty nerve landscapes praised by King Thieu Tri. Phu Van Lau has been rehabilitated many times but still retains the typical way of architecture of the Nguyen dynasty. 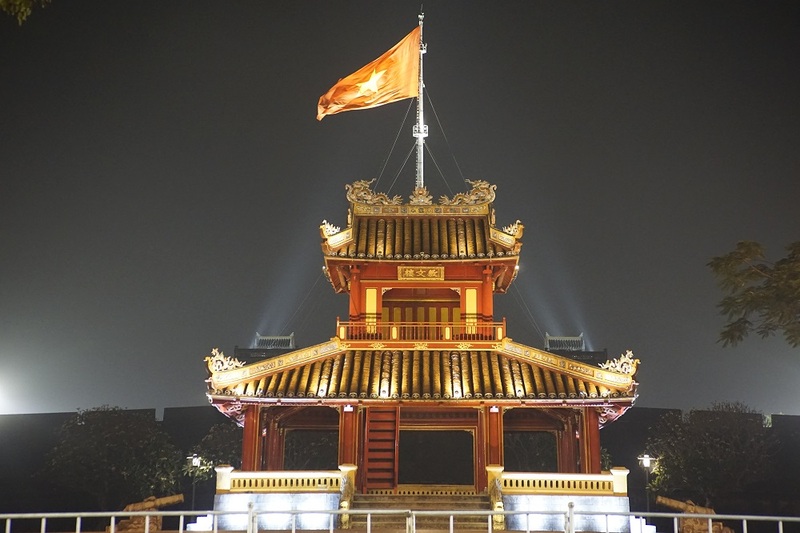 The image of Phu Van Lau and the wharf (in the immediate future Luong Ta house, also known as Nghinh Luong Dinh) has gone down in history. through the question of the mockery of Mr. Ung Binh Thuc Gia, the story of Duy Tan King sitting and feigning fishing to discuss the beginning of the anti-French war. Finding out about the characteristics of Hue City also makes us understand that the feudal time also has its values. 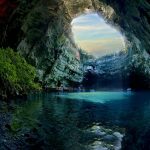 We should respect and preserve what it has created for us now. 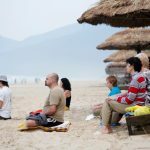 If you find this information useful and want to set foot on Phu Van Lau’s stairs then contact us now: hoi an to hue day trip, danang to hue day trip.